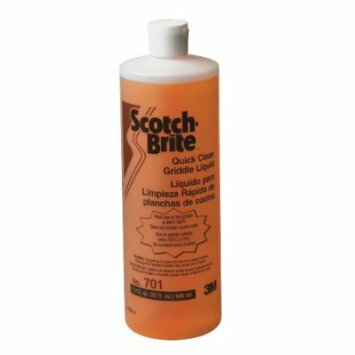 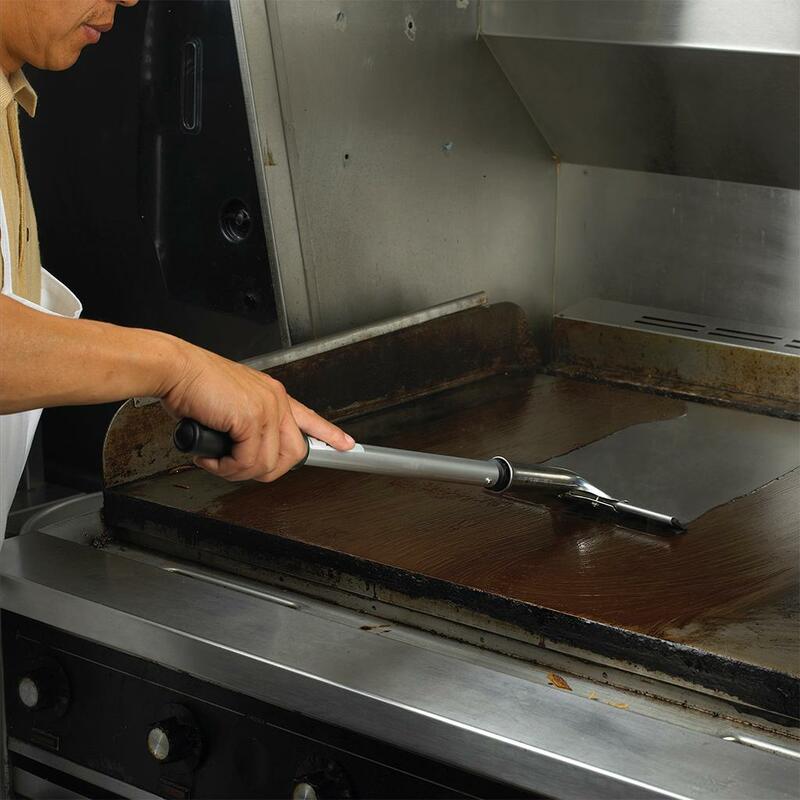 This product cleans a dirty food-soiled griddle in half the time of other cleaning products. 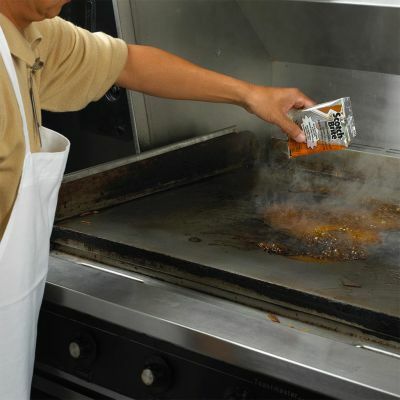 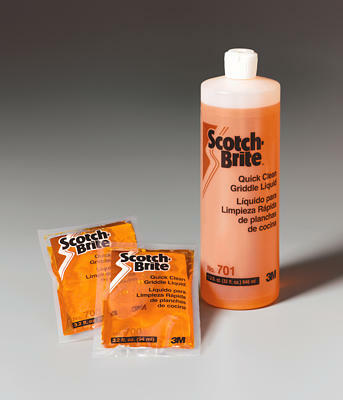 It is safe for use on food contact surfaces without rinsing and works effectively on medium hot griddles (300 - 350ÂºF). 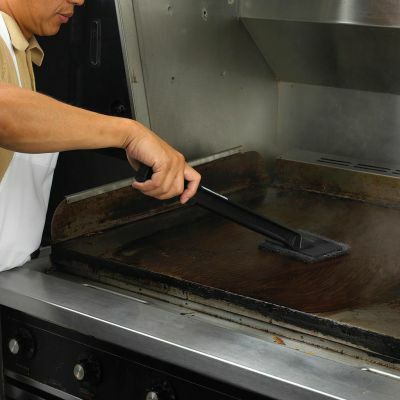 Daily use eliminates of it the need for a separate degreaser. The liquid loosens and lifts carbonized grease and food soil upon contact.